The Montana Grass Conservation Commission (MGCC) is a governor-appointed board whose mission is to conserve, protect, restore, and facilitate the proper utilization of grass, forage, and range resources in the state of Montana. The MGCC does this by organizing and administering the state grazing districts and promoting cooperation between agencies and the state grazing districts. The MGCC is composed of five members which include: two officers or directors of state grazing districts, two active holders of grazing preferences to a state grazing district and an ex officio member appointed by the MGCC. Jeff Willmore – Chairman Roy, MT. Vicki Dunaway – Vice Chairman Billings, MT. Bill Kennedy – Director Ekalaka, MT. Greg Oxarart – Director Malta, MT. Richard Stuker – Director Chinook, MT. Grazing districts are the result of the 1934 Taylor Grazing Act. Before this act was passed, land that was valued for grazing purposes was unappropriated and unreserved from the public domain. 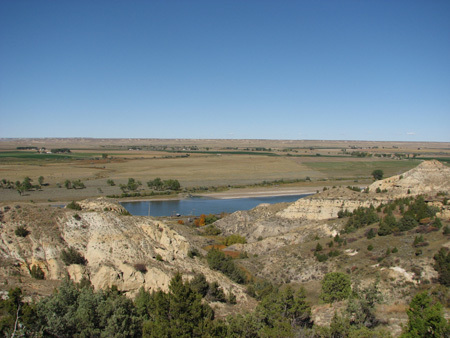 These lands were used, but during the controversy of sustainable grazing practices during the 1930’s Dust Bowl, the rights to use this land led the government to act on grazing issues. The Taylor Grazing Act enabled locals to petition the Secretary of the Interior to create a local grazing district. Upon acceptance, a board would be formed to manage permits for grazing preferences, finances to maintain leases and range improvements, and to generally maintain order of the grazing of the public lands within their grazing district. Montana’s leading industry is agriculture. Many people in production agriculture rely on public lands for grazing. Many of these lands are within the boundaries of the state’s 27 grazing districts. The grazing districts have maintained strong partnerships with many federal and state agencies and non-government organizations to promote stewardship and administration of public lands. The maintenance of Montana’s public lands is vital to the members of the state grazing districts whose livelihood depends on a healthy relationship between the land and livestock and also the economic success of Montana. Check out the MGCC's videos!